Hartland's archery range is available April through October (weather permitting) for rental groups as well as those attending Hartland-sponsored camps. There is no extra charge for this activity for those attending Hartland sponsored events. For rental groups, Hartland offers archery classes for a group fee of $30.00 for the first hour and $20.00 per hour for each subsequent hour (Approximately 20 people per hour). 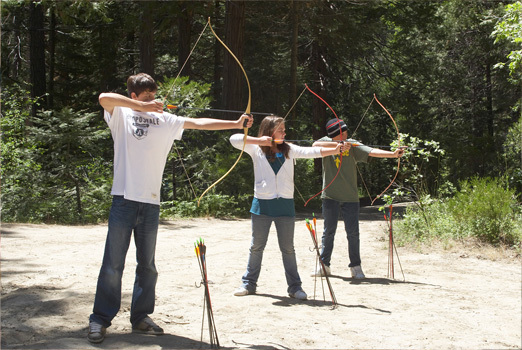 Trained instructors provide Olympic style archery classes for all ages using high-quality archery equipment.